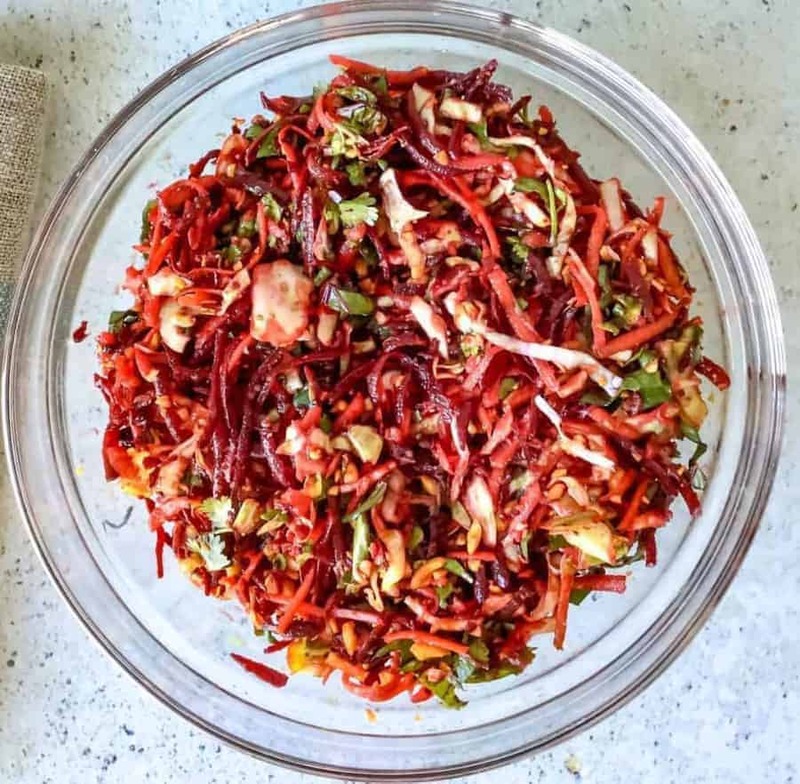 Beets, carrots, and cabbage combine to make a quick Indian raw vegetable salad that is as beautiful as it is nutritious. Add your favorite raw vegetables to this vegan salad that makes a great side dish for your meals. So the other day I make an Authentic Russian Borsch in my Instant Pot. But it was my first time making it, and I really had no idea of proportions, how much I’d need of this or that. So I had some shredded vegetables left. Like probably FOUR or FIVE WHOLE CUPS of shredded vegetables left! I will also admit I might have gone a little shred-happy with my much-loved salad shooter. Once you start shredding with that thing, you pretty much don’t want to stop! 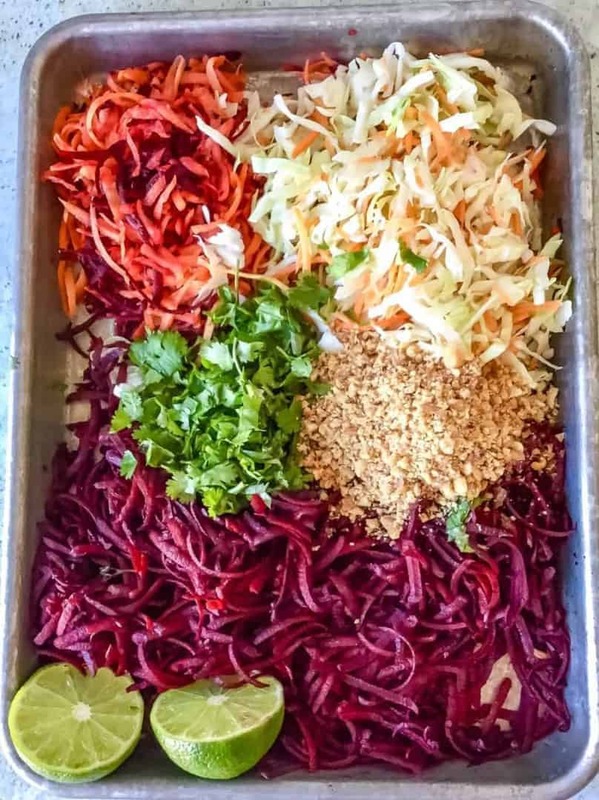 So I decided to take the leftover beets, carrots, and cabbage and use it to make an Indian raw vegetable salad. This style of making salads is quite common in much of India. Some of the ingredients can vary a bit, sometimes you might add yogurt, other times you might add shredded coconut. But mixing up raw veggies, adding either lime or lemon juice, or yogurt or tomatoes to tenderize the vegetables and then pouring over a hot flavored oil is an easy, fast, and delicious addition to your meals. So here are the raw ingredients for what went into the Indian raw vegetable salad. In a large bowl, combine all the shredded vegetables, peanuts, salt, Splenda/sugar and cilantro and set aside. Heat your small tadka bowl or a small saucepan over high heat. Once the pan is hot, add oil and let it heat. Add the turmeric and stir quickly. Pour this hot, flavored oil over the cabbage mixture and mix well. Mix once again and set aside for 15-20 minutes and then serve. This is so yummy! We have made it twice in the last week! 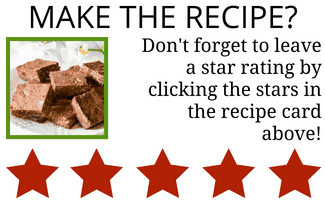 We have tried a few of your recipes so far and love them all. 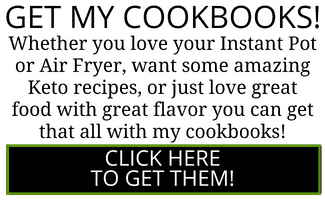 The cookbook just came in and we’ve already made 3 things. 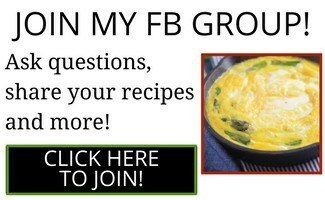 I am looking forward to learning how to cook fast and healthy in my IP for my family! You are amazing! Thank you!